14/07/2017 I wish to apologise for the above. A huge mistake about the charge. Having consulted my Bank, the sum mentioned was for something else and NOT the free download, for which I am truly grateful. I hang my head in shame, please forgive me. Thank you very much indeed for the music you have provided. 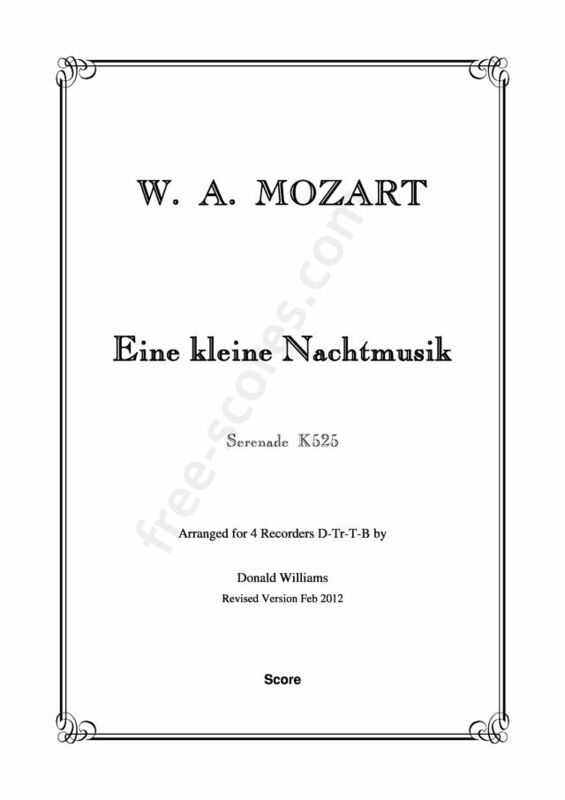 I am looking forward to using the score and playing the parts with friends. Best wishes. Comment posted the 11/06/2016, by machaelam. Fantastic slog arranging all that. Can't wait to try it with the gang. Thank you.